During a ceremony held today at CAE's Sale training centre, the Honourable Darren Chester, Member of Parliament (MP), joined officers from the Royal Australian Air Force (RAAF) and officials from CAE to mark the occasion of the RAAF surpassing 5,000 hours of simulator training since the training facility opened in 2014. "Gippsland has a long, proud history of supporting the Australian Defence Force. We should also be proud of the businesses, organisations and individuals who work so hard in our community to help RAAF Base East Sale meet its operational and training objectives," said Honourable Darren Chester MP, Minister for Infrastructure and Transport, Deputy Leader of the House and Federal Member for Gippsland. "Activity on the base, including the Federal Government's $200M investment in establishing East Sale as the home of aviation training in Australia, is making an enormous contribution to economic activity in Gippsland. RAAF Base East Sale is a major employer in Gippsland and uses local businesses and contractors to provide needed goods and services. I'm pleased local employers and contractors, including CAE Australia, are benefiting from the opportunities being generated by the RAAF Base." The training centre was constructed by CAE as a company-owned/company-operated facility following a contract award in 2013 from Australia's Capability Acquisition and Sustainment Group to deliver King Air 350 simulator services to RAAF pilots as well as air combat officers from the RAAF and maritime aviation warfare officers from the Royal Australian Navy. 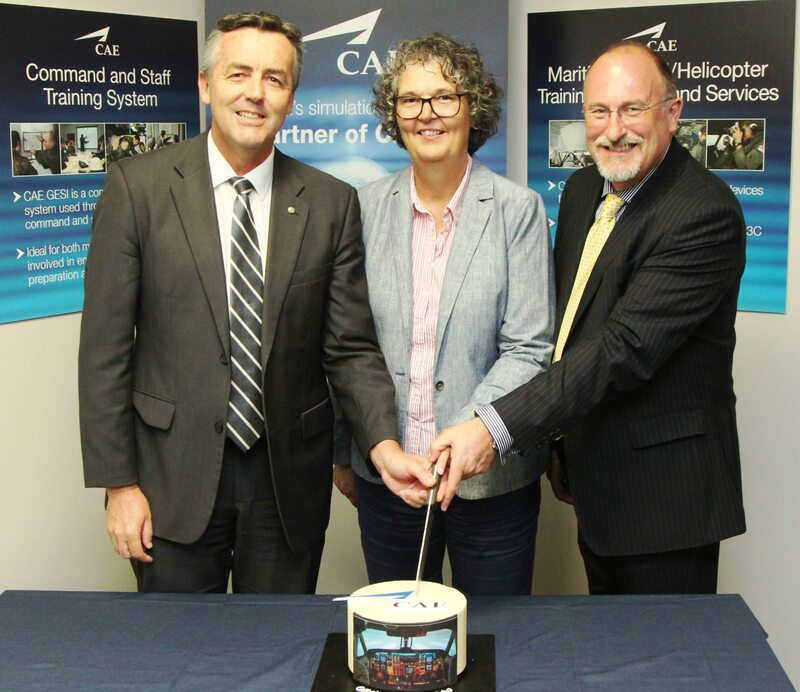 "The CAE Sale training centre is a great example of an innovative business model that delivers benefits to both the Australian Defence Force and industry," said Ian Bell, CAE's Vice President and General Manager, Asia-Pacific/Middle East. "We brought high-quality training where it was needed at RAAF Base East Sale, and we operate the training centre as a true partnership with the RAAF. As a training systems integrator capable of delivering turnkey training solutions, CAE believes this approach to long-term training service delivery can help our defence customers lower risk, increase efficiency, save money and contribute to enhanced training and operational effectiveness." The CAE Sale training centre is also available for use by other military and civil customers for King Air 350 simulator training. Third-party customers such as Australia's Civil Aviation Safety Authority (CASA), Hawker Pacific, and United Arab Emirates Air Force have utilized the facility for simulator training under CAE's CASA Part 142 certification which permits delivery of integrated and multi-crew flight training as well as recurrent training and checking. The training centre houses a CAE-built King Air 350 full-flight simulator (FFS) that is accredited by the Australian CASA to Level D, the highest qualification for flight simulators.